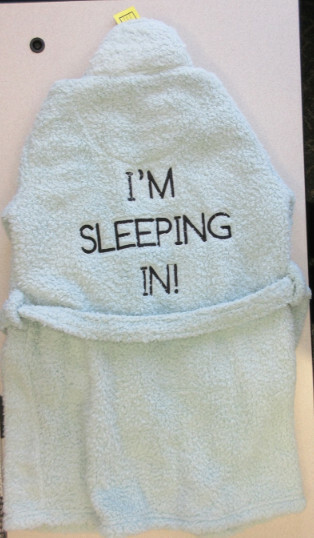 Issue: Product does not meet flammability requirements of the Children's Sleepwear Regulations. What to do: Customers should stop using the robe immediately and return it at any Nordstrom store for an exchange or full refund. The cropped kids' robe is made of a light blue polyester material with a detachable belt that ties around the waist. It has the phrase "I'm Sleeping In!" embroidered in black on the back. The robe was available in children's sizes S/M and L/XL. The RN number 83509 can be found on the tag inside the product. Approximately 35 units of the affected product were sold in Canada. The affected products were sold from November 2018 to March 2019. 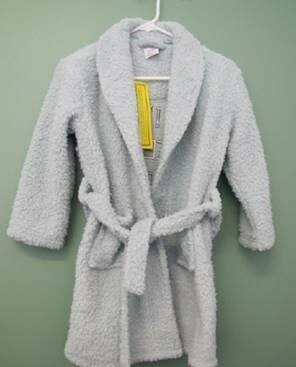 Customers should stop using the robe immediately and return it at any Nordstrom store for an exchange or full refund. For more information, consumers may contact Aegean Appare by email or call 937-531-6900. Customers may also contact Nordstrom at 1-800-804-0806 or by email.